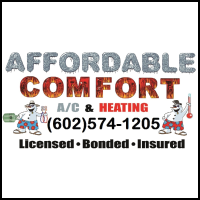 Affordable Comfort is here to be the #1 provider to the Employee Network community offering members 30% DISCOUNTS on all repairs and 15% DISCOUNTS off of new Equipment if your system should need replacement, Estimates are always free and we have many FINANCING and RENT TO OWN options available. 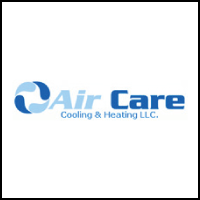 Call us today and we will adjust our schedules to meet your needs. Must ask for The Employee Network discount and present your physical or digital Employee Network Membership Card at time of scheduling. The Employee Network Members receive 20% off ALL repairs! Employee Network Members receive up to $1000 off newly installed systems! 100 % CUSTOMER SATISFACTION Accredited Better Business Bureau Member Serving the valley for more than ten years. High quality service at a fair price. Must ask for The Employee Network discount and present your physical or digital Employee Network Membership Card at time of service.